A special "behind the music" episode documenting the making of "Trock Opera", including a brief history of Trock music. ... in which the podcaster by the lake and the podcaster from downstate celebrate the 50th Anniversary of the Cybermen with a triple dose of Big Finish reviews. JB and X discuss the audio stories "Spare Parts", "The Harvest", and "Sword of Orion". ... in which two fearless podcasters boldly go where millions have gone before. JB is joined by Daniel Harper, co-host of the Oi Spaceman podcast, to celebrate the 50th anniversary of Star Trek with a commentary on "City on the Edge of Forever". ... in which the podcaster by the lake and the podcaster from downstate revisit the Sixth Doctor and Evelyn with a brief review of the Big Finish audio "Thicker Than Water". Also the return of Fan Mail and some more bawdy Doctor Who chat. 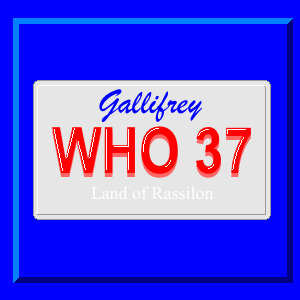 ... in which the podcaster by the lake and the podcaster from downstate get nostalgic over the best Doctor & Companion pairing of the "New Series". JB & X give a spoiler-filled and rather bawdy review of "The Tenth Doctor Adventures Vol. 1" from Big Finish Productions. ... in which the podcaster by the lake and the podcaster from downstate deal out a double dose of Doctor Who Big Finish reviews. This month JB and Xtofer take on "The Romance of Crime" starring Tom Baker and "Arrangements for War" starring Colin Baker. Contents include ambiguously bisexual artists, psychotic cockneys, politically incorrect aliens, errant lawnmowers, and DOG PEOPLE! ... in which our fearless podcaster goes back in time to 1996 when he attempted to explain to the readers of rec.arts.drwho how the events of The TV Movie fit into (what was then) established continuity. Also, St. Xtofer joins in to review the Paul McGann Big Finish audio adventure "The Stones of Venice". Closing Music: Everybody in the TARDIS (Type 40 Mix) by Matt Hawkins. ...in which our fearless podcaster records his reaction to the new companion announcement and spends a few minutes mourning two true lords of time that we lost early this year. ...in which our fearless podcaster goes all fanboy this week when he gets a gold star from Sophie Aldred and an answer from Kevin Smith about his favorite moments from Doctor Who. JB is also joined by St. Xtofer to review the Big Finish audio "1963: Fanfare for the Common Men". ... in which the podcaster by the lake and the podcaster from downstate play their "trump" cards, a Seven and an Ace. In perhaps the most timely Doctor Who Big Finish review, JB and X take on the politically charged audio drama "The Fearmonger". ... in which fearless podcasters mashup stories, writers, Doctors and companions and attempt to review nonexistent versions of our favorite televised adventures. JB is joined by Daniel Harper from Oi!Spaceman: A Doctor Who Love Story and St. Xtofer from Dirty WHOers. ... in which the podcaster by the lake and the podcaster from downstate begin year four of the podcast by beginning their monthly reviews of Doctor Who audios from Big Finish Productions. This month JB and St. Xtofer (from Dirty WHOers) review "The War Doctor Volume 1: Only The Monstrous"
... in which two fearless podcasters see the light at the end of the tunnel and hope it's not an oncoming train. JB is joined by Daniel Harper, co-host of the Oi! Spaceman: A Doctor Who Love Story Podcast, Of course the topic of discussion and speculation is the news of Steven Moffat handing over the mantle of Doctor Who showrunner to Chris Chibnall. ...in which our fearless podcaster gets taken to task by a James Bond villain. Once again the listeners have their say on the latest season of Doctor Who. Also a quick review of "The Force Awakens" and "The Husbands of River Song". ... in which our fearless podcaster punches holes in Steven Moffat's writing just as ferociously as the Doctor punched a hole through the diamond wall. And we find out if Clara's power is all in a club sandwich. It's the long awaited review of "Heaven Sent" and "Hell Bent". Also, hear all about how River Song got sexually harassed live on stage at Chicago TARDIS 2015.